Bobby Moynihan is recently finished his fifth season on the “Saturday Night Live” stage. Moynihan has made numerous contributions to “SNL” including laugh out loud impressions of Guy Fieri and Nicole “Snooki” Polizzi. He has also entertained us as “Mark Payne,” a disastrous waiter at Pizzeria Uno and as “Vinny Vedecci Jr.” the son of Bill Hader’s Italian talk show host. Moynihan is a fixture at The Upright Citizens Brigade Theatre in New York (co-founded by SNL’s Amy Poehler), where he continues to perform as a proud member of the popular UCB house improv team The Stepfathers. He was a member of UCB Harold teams The Shoves and Police Chief Rumble and was a writer/performer for the UCB Touring Company. He still performs regularly at the UCB’s signature weekly “Assssscat” show. In addition, Moynihan has performed alongside members of the popular sketch group Derrick Comedy and also appears with “SNL” alum Horatio Sanz, as part of Sanz’s ‘Kings of Improv Tour.’ Moynihan is a member of the sketch group Buffoons with friends Charlie Sanders and Eugene Cordero. The group’s antics, reminiscent of “The Three Stooges,” were a hit at Montreal’s Just For Laughs Comedy Festival in 2007. Moynihan appeared in the feature films, “The Invention of Lying,” directed by and starring Ricky Gervais, “When in Rome” with Kristen Bell, Will Arnett, Dax Shepard, Jon Heder and Josh Duhamel and “Mystery Team,” an indie starring Donald Glover, which premiered at Sundance in 2009. Moynihan also appeared on MTV’s “Human Giant.” Moynihan hails from Eastchester, NY, and lives in New York. Do you want to hire Bobby Moynihan? Directly request a quote. 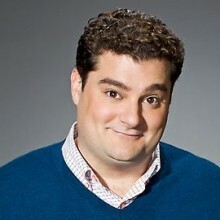 In 48 hours we can send you the availability of Bobby Moynihan If you would like to book Bobby Moynihan, Entertainment Booking Agency is the right place. We will offer you the best price and contact the management or we directly contact Bobby Moynihan. For corporate appearances or speaking engagements you can contact our agents and the will help you true the process. Tags: hire Bobby Moynihan, Bobby Moynihan booking, book Bobby Moynihan, Bobby Moynihan appearances, find more information on booking Bobby Moynihan for appearances, Bobby Moynihan speaking engagements, Bobby Moynihan endorsements/spokesperson, Bobby Moynihan appearance fees, Bobby Moynihan booking agency contact info, biography of Bobby Moynihan, Contact an artist booking talent agent find a speakers bureau that can book Bobby Moynihan, speaker booking agency for Bobby Moynihan, Bobby Moynihan booking agency, Bobby Moynihan booking for corporate event. EBA is one of the biggest entertainment booking agencies in the World. We book hundreds of celebrities, artist, athletes and speakers in a year. Important to know is that we are not claiming to be the management of Bobby Moynihan. We are not the official agent for Bobby Moynihan. Companies from around the globe book these artists and speakers true our company be course we have one of the biggest networks and we always have direct contact with the artist or the management. We help you to find the right celebrities for your corporate of private events. Please contact one of our agents to get free advice and we will help to get the world-famous artist on your party.